Welcome back to another exclusive review of Most Haunted Off Camera. Yes they have officially changed the name of the show. Ok so I have had a word with them and apparently there are some knocks, and stuff thrown OFF CAMERA. Wait a sec, just had something delivered to the BadPsychics offices through a courier named Ahmed, its a box..... opening the box, and what is this inside, is a sealed plastic container, ok lets open it. Oh its full of some disgusting white thick liquid, oh there is a note attached. It says, here is my blurbage. 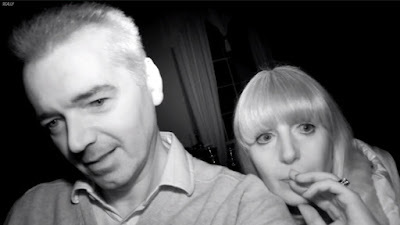 "Spook-searching with Yvette and co! The investigation continues into the Judge's Lodgings where the team seems to be under attack, and something is trying to get through a door." 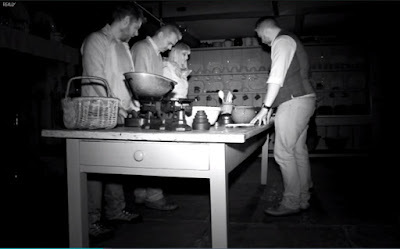 I just checked the ratings for the Halloween week on REALLY, and if you take out the Most Haunted As Live Halloween special, the ratings for Ghost Chasers and Most Haunted regular shows were pretty close, that is an amazing achievement for Ghost Chasers which is a brand new show, perhaps UKTV might realise they finally have a successor to Most Haunted that is not only more credible, but causes them a lot less bad press. And so we begin with a reminder that the show is NOT real, is NOT a serious investigation in any way. Sometimes I feel like one of these know it all WWE Wrestling fans who knows the show is all scripted, but find themselves endlessly arguing with 13 year olds who think it is real. I guess someone has to do it. Show starts and we get some highlights of last weeks show, again they are showing the "colour" scenes but with the fake post production night vision filter on. I cant stress this enough, the show is filmed in full colour, ALL OF IT. While filming they have lights on. It is not dark. That is all fixed in post production on the computer. The start of the episode is literally giving the game away of how they do it, but the idiot fans don't seem to understand. A good few minutes of all the OFF CAMERA stuff from last week's episode is replayed and we then continue from where we left off last week. About 5 minutes in, and we have a very well shot scene, whereby Karl makes sure he is on camera and has his hands in his pockets, with Fred partially hidden by Karl, Fred does the classic "no look pass", where by he looks at the wall, while throwing an item behind Karl to the other side of the room. It is classic misdirection. Here is how it looks when it is done properly. In the case of Fred and Karl it is simple, get both people on camera, filmed by a more honest member of the crew, Karl hands in pocket so he cant be blamed, Fred partially hidden, and looking the wrong way, and job done, you have a simple shot that would keep the believers happy. But keep in mind since the throw is from behind Karl, and under the line of view of the camera, then this does indeed count as OFF CAMERA! And they do not find whatever it is that Fred threw. You will notice that Fred always holds his book closely to him with one arm, and then has his other hand in his very large pocket. I can only imagine what kind of accoutrements he has in there. Fred then decides to investigate a window, the cameraman follows, with Karl lurking behind them, when suddenly there is a noise OFF CAMERA, and upon investigation they find a light wicker basket has been chucked behind them, clearly by Karl who then tries to convince everyone that the basket must have been chucked in the opposite direction from another room towards them. So far this episode is pretty much the same as last weeks. And 8 minutes in and I am bored. Another noise and a watering can has been knocked over...... OFF CAMERA. Yvette then starts massaging Karl's left moob, no idea why, but the look of jealousy on Glen's face afterwards is palpable. All five of them decide to stand around a table. Never forget that there is in fact more crew members than they let on, usually a producer or two that you never see. Fred is clearly annoyed he is not in view of the camera, so makes sure to lean forward to make sure he is in shot, well he is paying for all of this, so damn right he should be seen, unlike poor Watson, the ONLY credible member of the crew, who cant even get on the show when they are throwing stuff about. 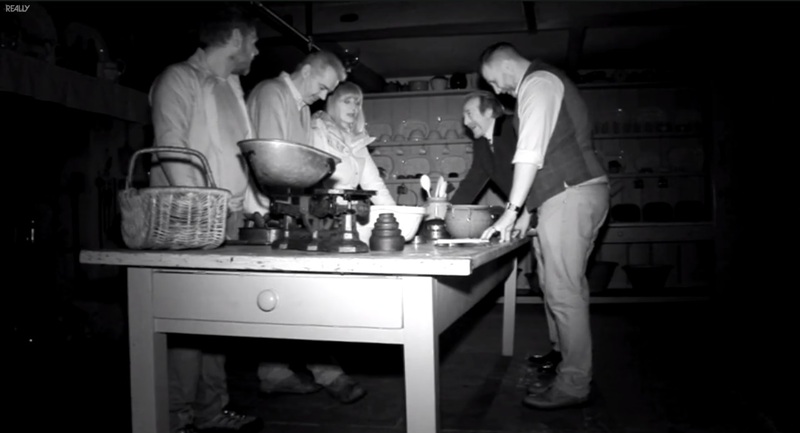 Yvette is asking the ghosts to move the table. We get a split screen front and back shot which is nice, shows that there is no naughtiness going on from Fred. And because of the duel cameras, nothing happens, the table does not move, so the scene gets cut short quick. 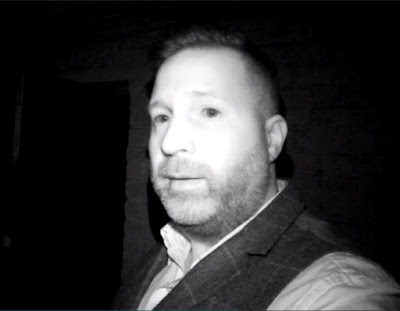 Yvette is now walking with Karl and gives the game away again by saying she doesn't like it when it is dark, erm... isn't is supposed to be dark all of the time on these investigations? Karl throws something OFF CAMERA, and Yvette ruins the scene by swearing which in turn gets muted out, so you hear the bang and then 5 seconds of silence. Yvette then goes to great lengths to prove that neither her or Karl could have possible thrown the item, she admits they were stood pretty much facing a wall! 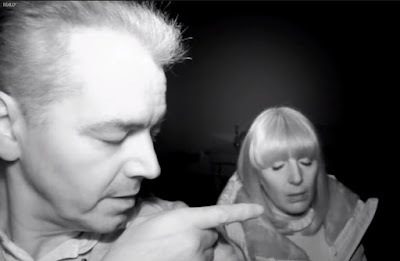 Which is the one thing surely you would not do when trying to catch evidence of the paranormal! Of course the idea that Karl just picked something up, had it in his hand and then chucked it behind his back is beyond Yvette's comprehension. 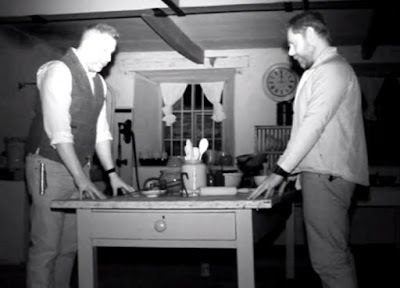 One of the things I often hear in defence of Karl is that he needs two hands to hold the camera when filming, which would make it impossible for him to throw things, so here is a shot of him holding the camera with one hand, while the other hand is pointing at the ghost. Karl and Yvette then have their weekly scripted argument. Also rule number 1 of ghost hunting, always film yourself, so that the viewer cant see the ghosts. This ridiculous scene with Karl and Yvette claiming they can see/hear something goes on for a good 10 minutes, but of course we the viewer see nothing as everything that happens is OFF CAMERA. 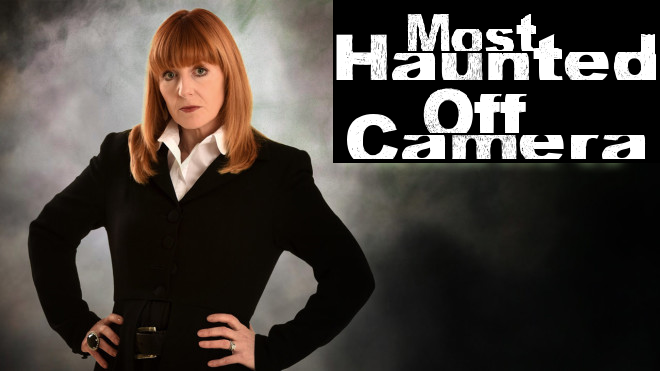 It really does get pathetic, the overacting is too much even for Most Haunted. Glen and the other guy are still at the table, and nothing is happening. Riveting television I am sure you can agree. "It's not frightening but it's scary isn't it.." - Karl Beattie. With insights like that the man should right a book. Karl is on his own now, large bang, a door has supposedly shut on its own OFF CAMERA. Highlight of the episode is this "private" sign. It is a sign on a pole, but when he films it, it almost looks like a post production effect and seems to be floating in mid air. Of course the owners don't want anyone going in that room, I wonder why? Maybe that is where the ghosts live? Glen is in a room all on his own, since nothing is happening and there are no ghosts around, he slowly pulls down his trousers and knocks a quick one out. We keep skipping between all the crew members who are supposedly each on their own, no sign of Fred though. 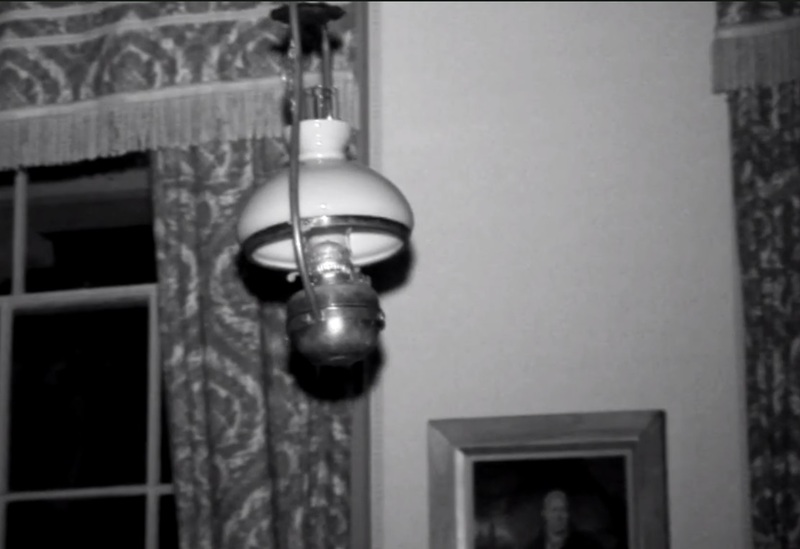 We cut back to Karl, he asks the ghosts to move something in the room, as he turns around he notices the light fixture swinging. Now clearly it was a ghost who did this, and not Karl who just walked up, pushed the light, moved back and started filming. That would be impossible. 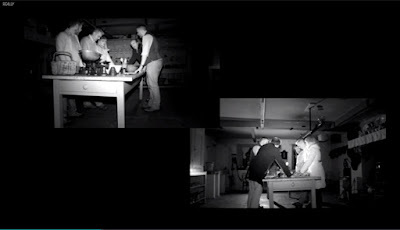 Because there is a cut in filming, and we do not see a continuous shot of the light still, and then moving, that means that the evidence is useless. Back with Yvette and you can clearly hear cars in the background, so they are right on a street, so any noise they hear could easily be someone outside. We then have a hilarious scene with Karl, whereby it sounds like a door handle is being twisted, so Karl runs to the door, opens it, and low and behold there is no one on the other side. Two explanations for this. Either the noise and Karl talking was added in post production, since we do not see Karl talking since for once he is filming in the right direction, and we don't actually see the handle moving, or it was someone crouched down on the floor, they move the handle, and as Karl bursts through they simply move into the room he came from, so when he looks left and right of course there is no one there. The easier of the two to plan would be to add the noise in post production, it means Karl can plan and execute the scene on his own. And with that the episode finishes off with some highlights of what happened. And in 90 minutes of investigation of The Judges lodgings over two episodes, they caught not a single piece of usable evidence of anything paranormal. EVERYTHING that happened, happened OFF CAMERA. 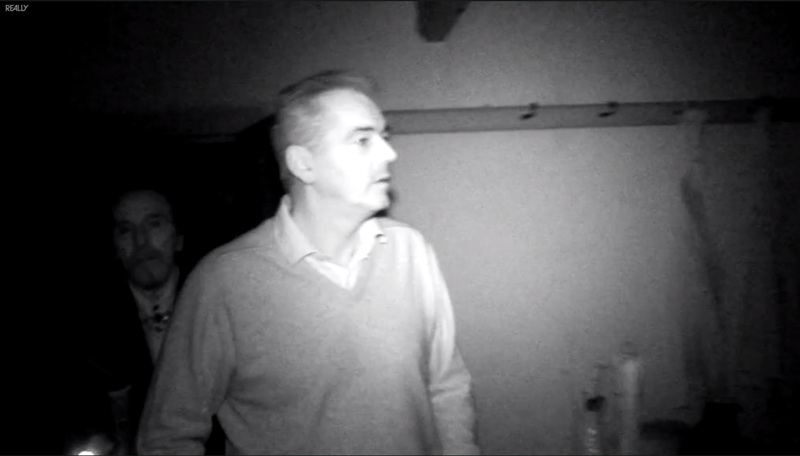 There are only two options to consider when watching Most Haunted. 1. They fake everything, and that is why their filming techniques are so terrible. 2. They are the single most incompetent, and idiotic ghost hunters in the history of the world, that get more paranormal activity than anyone else, yet after 20 seasons, 100s of episodes, they haven't caught a single piece of credible evidence. And with that I end my review. I can only give this episode a 1/10, less sillyness than last weeks episode, but still dumb.